If you’re in the market for a stainless steel Rolex Datejust, you may have noticed that there’s an incredible array of models and styles to choose from. And, Rolex is famous for making seemingly small, but important changes from one generation to the next. As a result, it can be difficult to keep track of what the variances are between steel Datejust watches from different eras. So, today we compare stainless steel Rolex Datejust 160x vs 160xx models to highlight their differences and similarities. Also, you can refer to our quick comparison guide for stainless steel Rolex Datejust to see side-by-side comparisons in more detail for each model. Before we begin comparing specific models, it’s important to mention that there are plenty of design traits that all these stainless steel Datejust watches have, regardless of the era. First, they have 36mm Oyster cases, which were built to be water resistant to 100 meters deep. Second, as their name implies, they all have a date window, positioned at 3 o’clock, along with a magnification lens affixed to the crystal protecting the dial, also known as a Cyclops. Finally, they all run on automatic mechanical movements. When we compare stainless steel Rolex Datejust ref. 1600 and ref. 16000, both have steel smooth bezels. The ref. 1601 and ref. 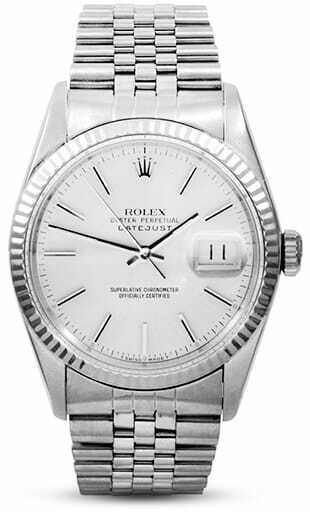 16014 have white gold fluted bezels, and the ref. 1603 and the ref. 16030 have steel engine-turned bezels. Rolex produced the four-digit stainless steel Rolex Datejust models (ref. 1600, 1601, and 1603) from the early 1960s to about the late 1970s/early 1980s. Given their manufacturing era, they include details that you would expect from vintage Rolex watches. For instance, these include acrylic crystals protecting the dials, lug holes on the cases, and tritium luminescence. What’s more, bracelet options included Oyster and Jubilee styles, both with hollow links and end pieces. Depending on when the watch was manufactured during the two-decade run, the links on the bracelets can be riveted, folded, oval, or D-link. Rolex began adding lower case Sigma letters to some of their dials around 1970 to indicate the use of white gold for hour markers and hands. Also, these so-called Sigma dials can be found on some stainless steel Datejust models from the early 1970s until the late 1970s. 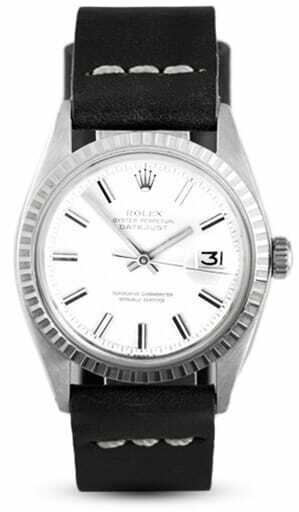 In the late 1970s, Rolex began replacing the four-digit steel Datejust watches with the new five-digit Datejust watches (ref. 16000, 16014, and 16030). 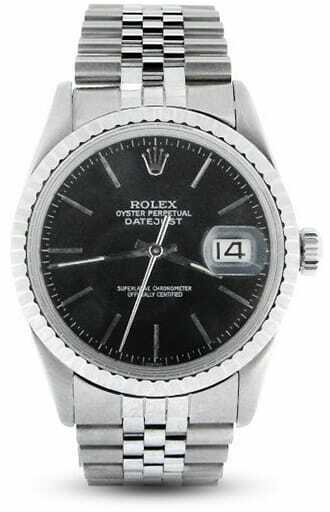 However, there was some overlap between the two generations in the late 1970s and early 1980s—probably due to Rolex having to sell out their stock of the older versions of the Datejust before exclusively committing to the newer edition. Design wise, the newer versions were very similar to the preceding models with the same acrylic crystal, tritium lume, and lug holes on the case. In addition, the Oyster and Jubilee bracelets had hollow links and end pieces, including the “D-Link” style of the Jubilee band. The major difference between these two eras of steel Datejust watches was the movement powering them. 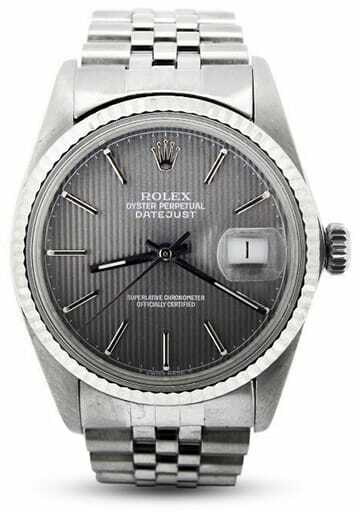 The older versions of the steel Datejust watches—the ref. 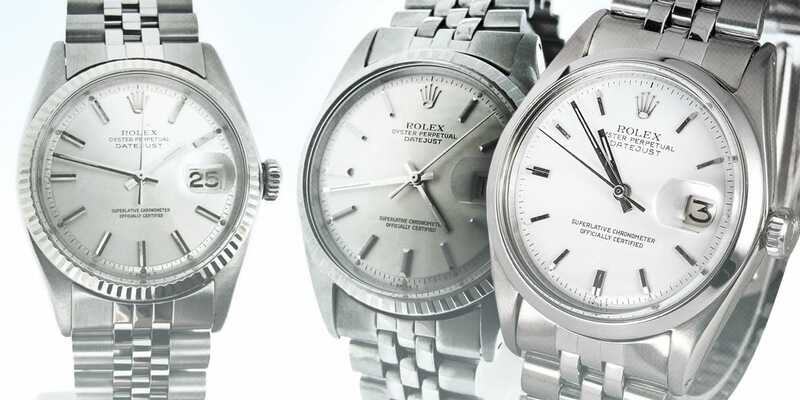 1600, 1601, and 1603—run on Rolex Caliber 1560 or 1570 (depending on the manufacturing period). The Caliber 1560 and 1570 are non-quickset automatic mechanical movements. Essentially, this means that the wearer has to continuously turn the center hands around the dial until the time passes midnight to change the date in the window at 3 o’clock. This all changed with the introduction of the newer models of the steel Datejust watches—the ref. 16000, 16014, and 16030—fitted with the Caliber 3035. The Caliber 3035 features the quickset date function, thus allowing the wearer to set the date independently from the hour and minute hands. 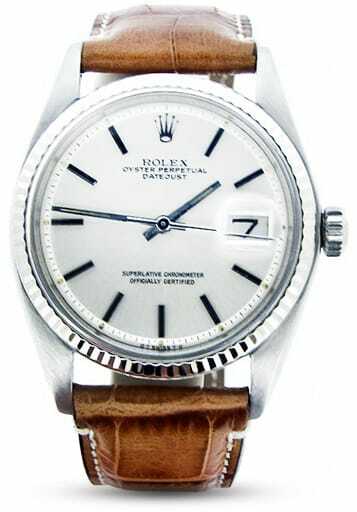 To sum up, when we compare stainless steel Rolex Datejust watches, stylistically the four-digit and five-digit steel Datejust watches are quite alike. However, where these two generations of Rolex watches differ greatly is in their mechanics. So when deciding between the Rolex Datejust ref. 16xx or the ref. 160xx, you must first determine if the quickset feature is an important one for you to have.